This made me think about my dreams, goals and WHY. I realized that my ultimate dream is huge but my efforts and faith toward those things are small. In some way I have been fearful of succeeding. I was subconsciously saying “OH SH… I dreamed too big!” Somewhere along the way I told myself that I am demanding too much and that I am not worthy of that much. I have always felt like there was more – something else I wanted to do to impact my community and leave a legacy for my family. But it wasn’t until these two previously mentioned dialogues that I realized that I needed to open my mind to receive greater. Here’s my point – when you are asking and praying for something, don’t turn around and doubt the validity of your request. Sometimes we talk ourselves out of our own blessings. We discount ourselves and believe “I dreamed too big and I’m asking for too much – let me just be content with whatever I can get.” You have to get beyond the small-minded, go to work for years to grind hard for someone else, then retire and have to work at as a WalMart greeter mentality. Your prayers may not be being answered because your heart is asking for something that your mouth and your actions aren’t demanding. You are asking amiss. It is OK to dream BIG and to have BIG. You just have to increase your capacity. I think as women and in particular as black women, we have been taught self-sacrifice so much that we just accept anything. But you are a daughter of the King. How dare you settle for crumbs when your Father has an unlimited supply of whatever you need. Let me encourage you to dust off those dreams. If it is money that’s holding you back, you have to change your mind about that. Money isn’t what you need – knowledge and relationships are what you really need to move forward. Money is only a tool and there is an abundance of it. Your access to it is dependent upon your relationships, stewardship and what you know (I’ll go more into this in a future post). If your dream is hindered by time, you have to change your mind about that too. In a previous post, Finding Your Purpose – Your When, we uncovered ways to find more time. There’s really no excuse. If your dream is so big that it frightens you, you are in great company. You are also in a place to see the miraculous if you are trusting God. Where your strength ends, His grace begins. Psalms 37:4 tells us that when we delight ourselves in Him, He will give us the desires of our heart. I see this two ways. 1) He places desires on your heart so that you can believe Him for them. 2) He then brings those desires to fruition through your faith. Let’s get to it! Put your faith in action! Wow Chanelle! I really needed this! 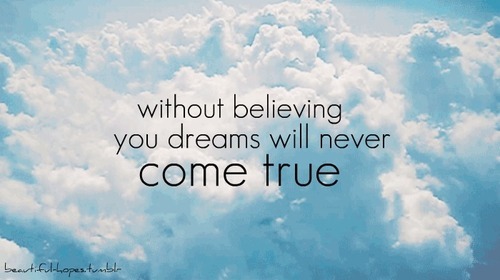 So often I dream big and then believe its too big! This post is something that each woman should really daily. Thank you! Great entry! I truly believe in Psalms 37:4. You have to trust and commit to him, while setting small achievable goals to reach your master plan.